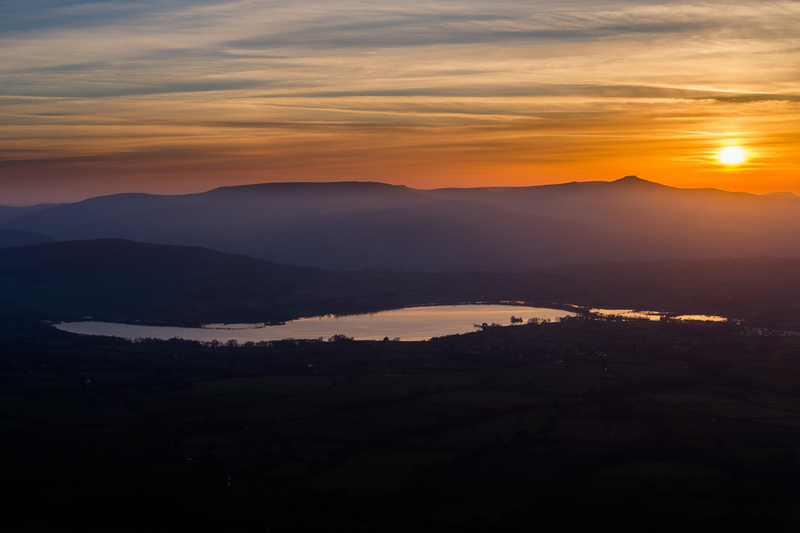 I had a weekend planned in the Brecon Beacons to celebrate a friend’s 30th birthday, and given the beautiful forecast on the Friday afternoon I decided to leave work early and head up Mynydd Troed for sunset. 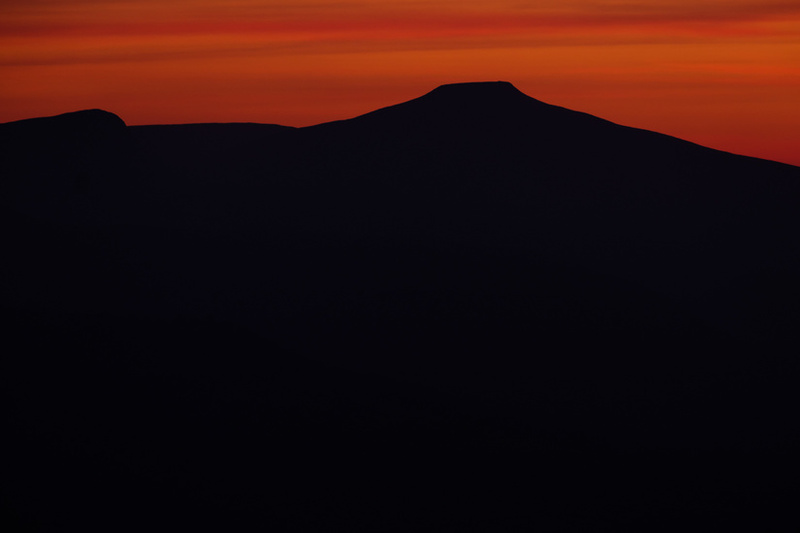 I was hoping for a fantastic view of the Dragon’s Back on the Black Mountains, but it just looked a bit rounded from high up and would have lost the sun too early. 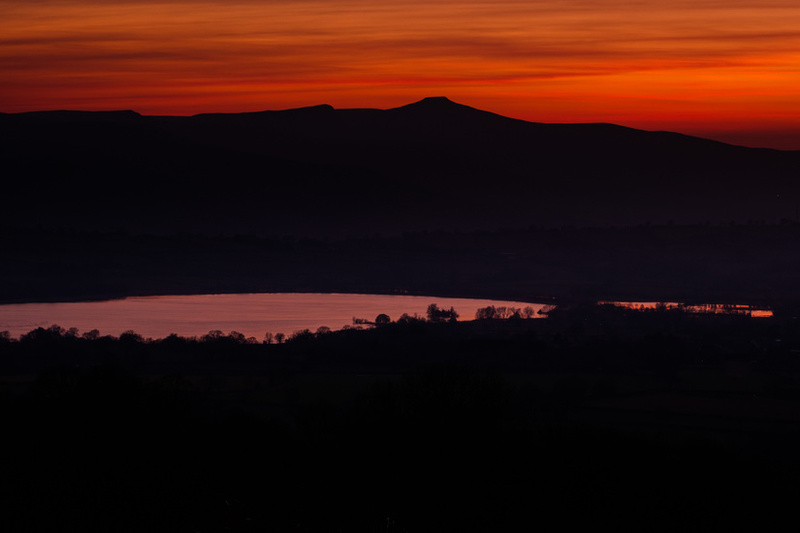 Thankfully the more classic view over Llangors Lake and the Pen y Fan massif was excellent. I still haven’t done much sunrise or sunset photography, so I feel like I learnt lots. The key things being that I don’t need to arrive so early, and that I should definitely stay later! The sunset turned out to be lovely, with a small bank of cloud on the horizon, which was thin enough to allow the sun through. Just after the sun had set I descended as I was cold and it was a bit later than I was expecting, but as I got back to the car I realised how much the sky had improved so shot a few more frames. These would have been much better from higher up.